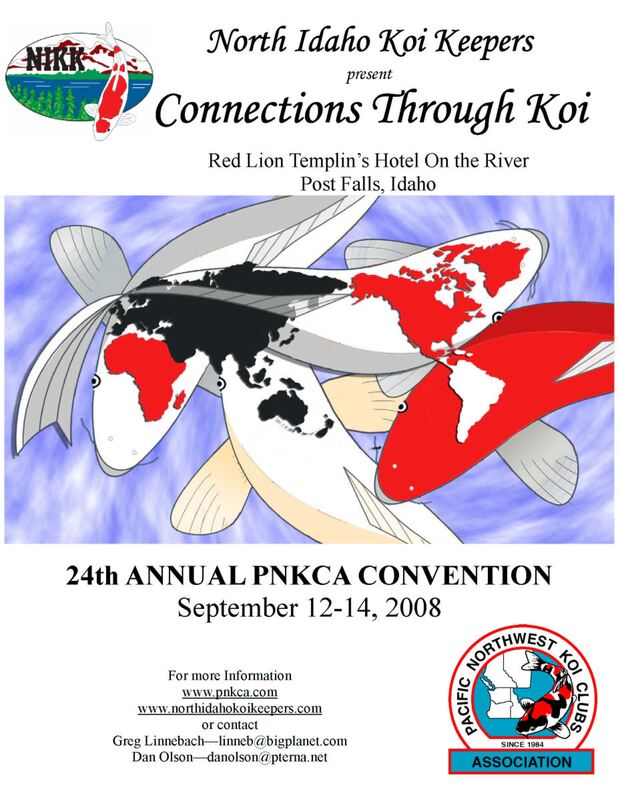 Members of the North Idaho Koi Keepers gathered this weekend to move to the next level in preparing to host the 2008 PNKCA Convention in Post Falls, Idaho September 12-14, 2008! Our fledgling club has a lot of enthusiastic experienced koi people who like to think outside the box and plan to make the 24th Annual Convention of the Pacific Northwest Koi Clubs Association a memorable occasion worthy of international attention. With our keynote speaker Mr. Toshio Sakai of Isawa Nishikigoi planning to join many of his American friends at this Northwest gathering, arrangements are in place for a dinner cruise on Coeur d'Alene Lake following some terrific seminars at a waterfront convention hotel. A first for this convention will be a Convention Booklet that will be published by March and distributed to recognize speakers and vendors supporting this endeavor. Our chairmen will be contacting some of the leading suppliers in the koi world to offer a great opportunity to be part of this unique experience. Stay tuned to hear more about this event coming up in just a few months! !